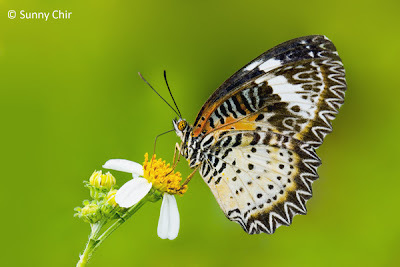 Here is another shot of a female Harlequin (Taxila haquinus haquinus) taken by ButterflyCircle member CK Chng a couple of weekends ago. 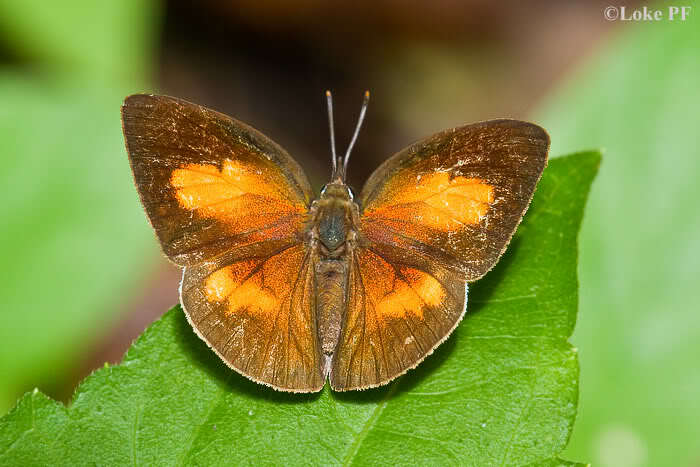 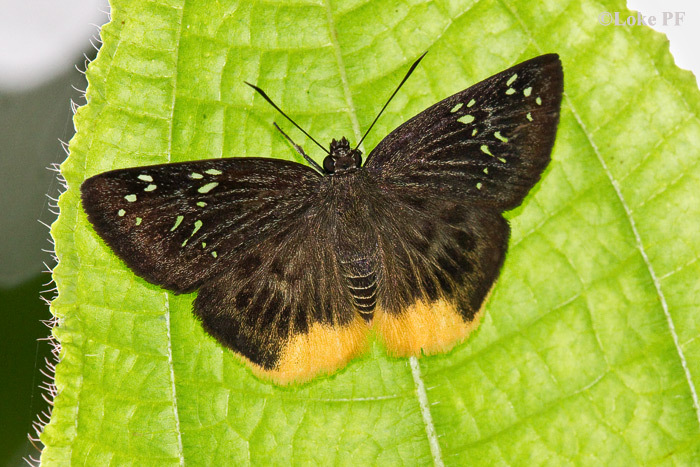 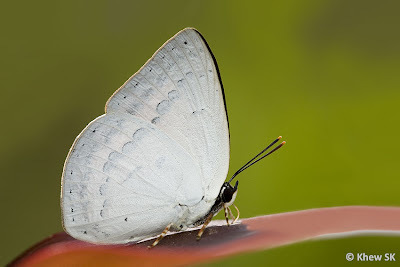 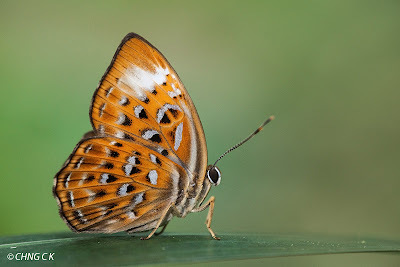 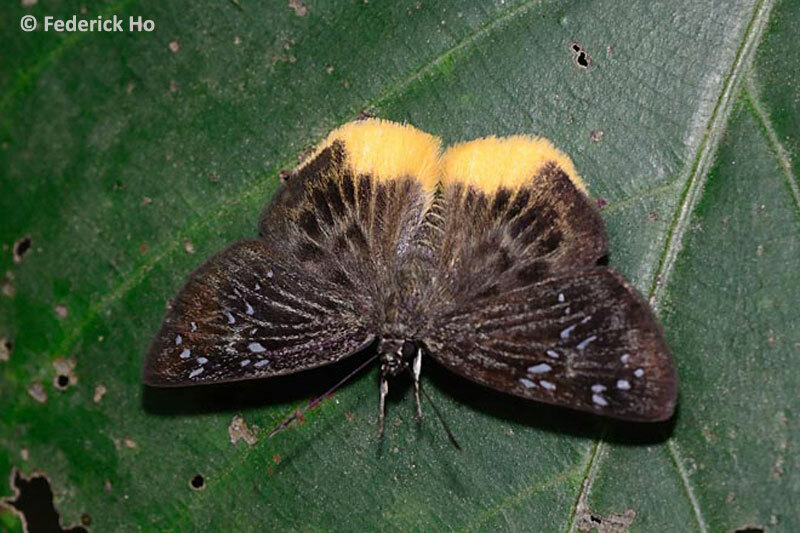 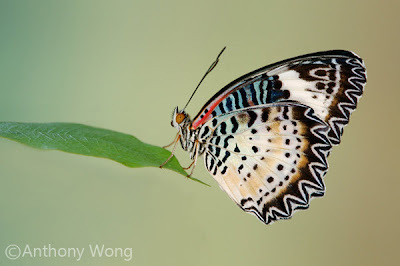 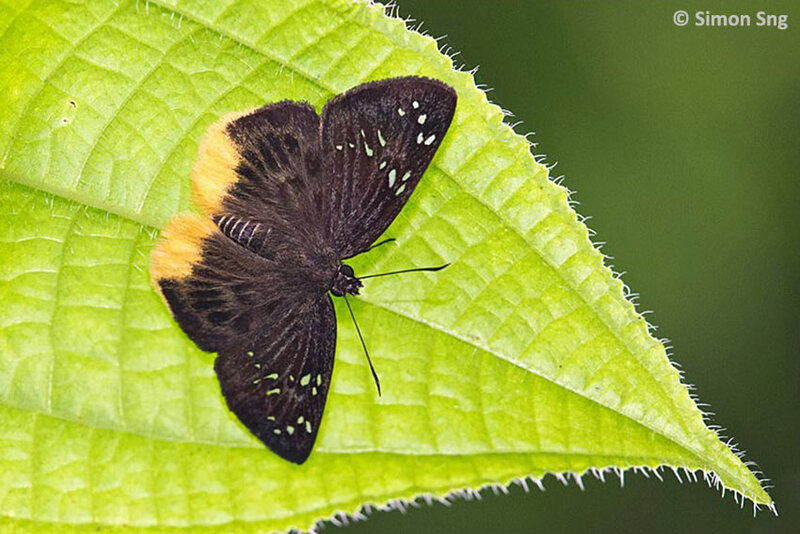 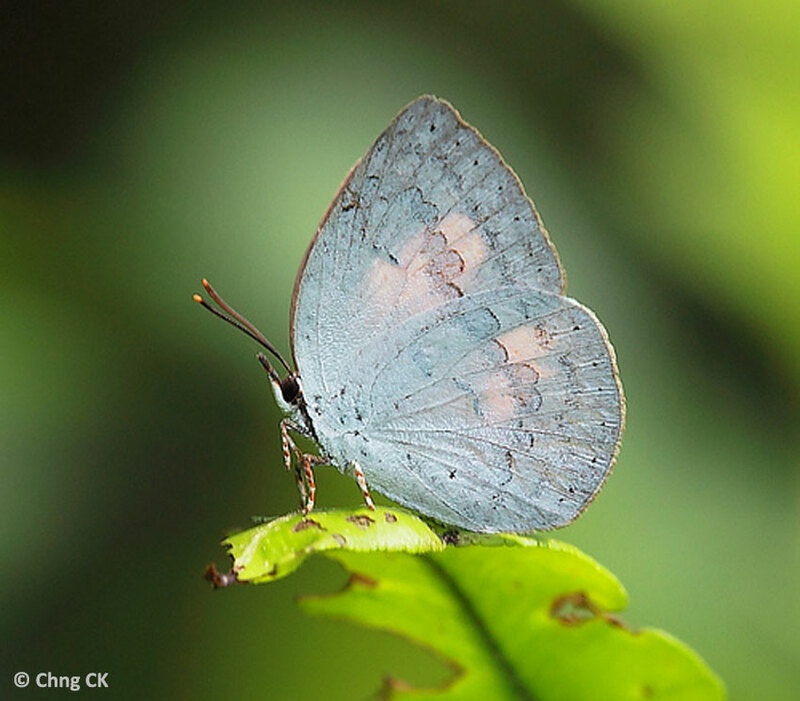 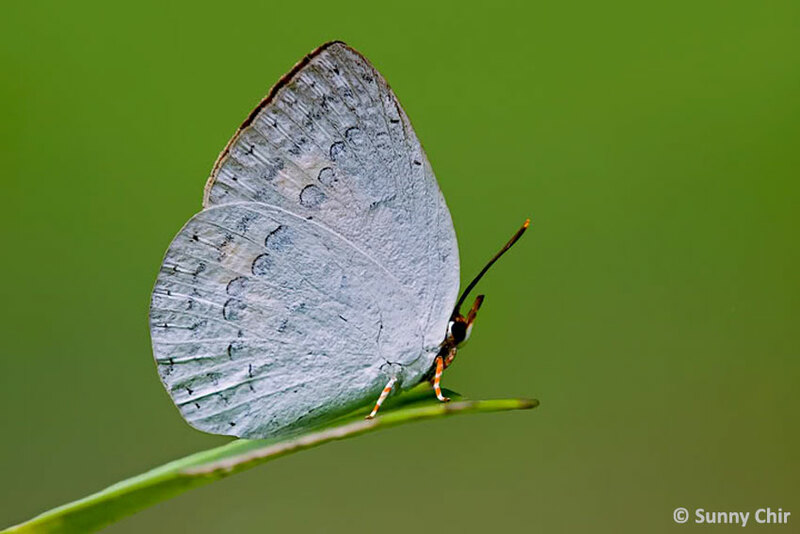 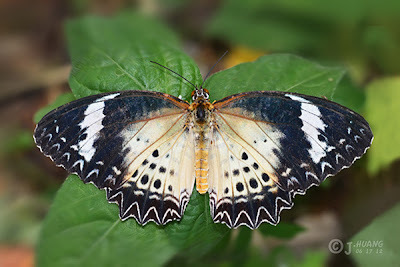 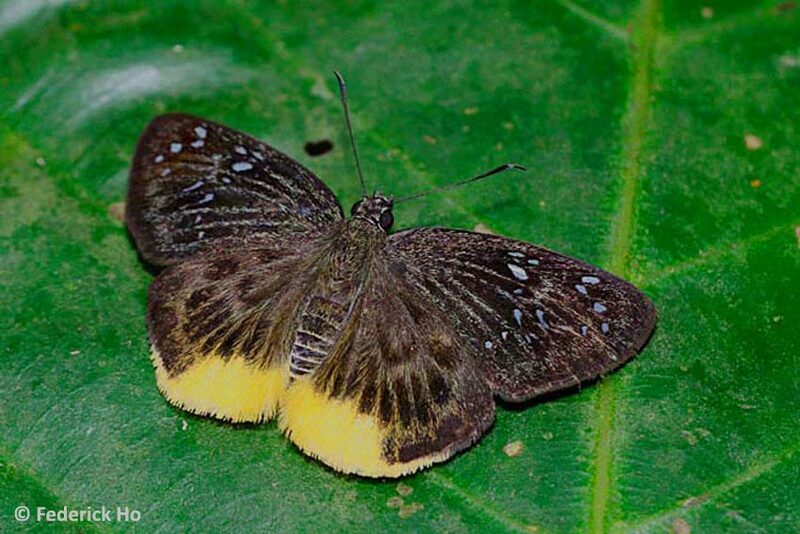 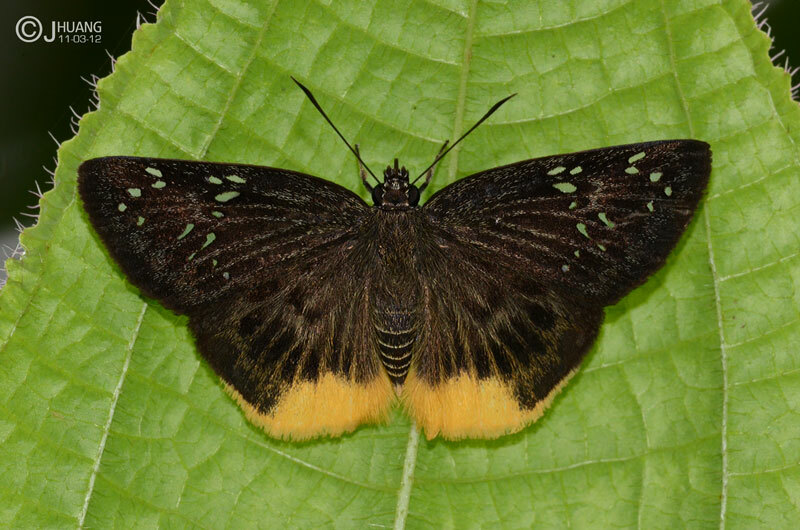 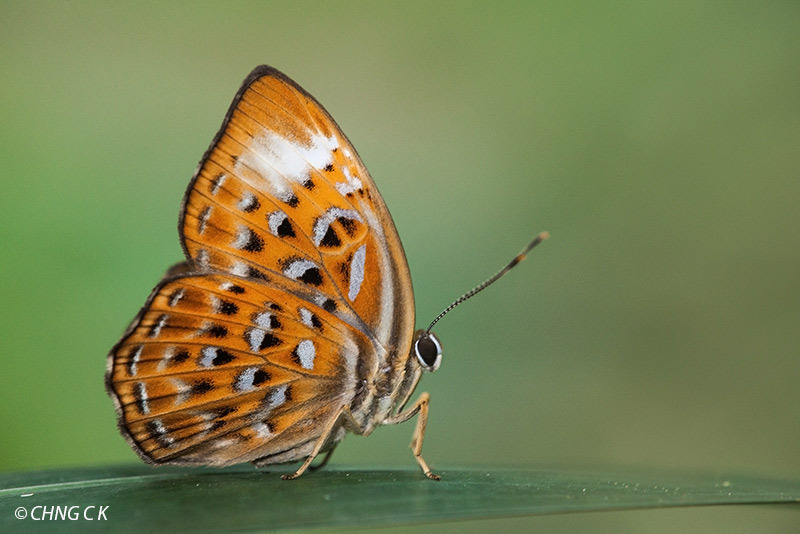 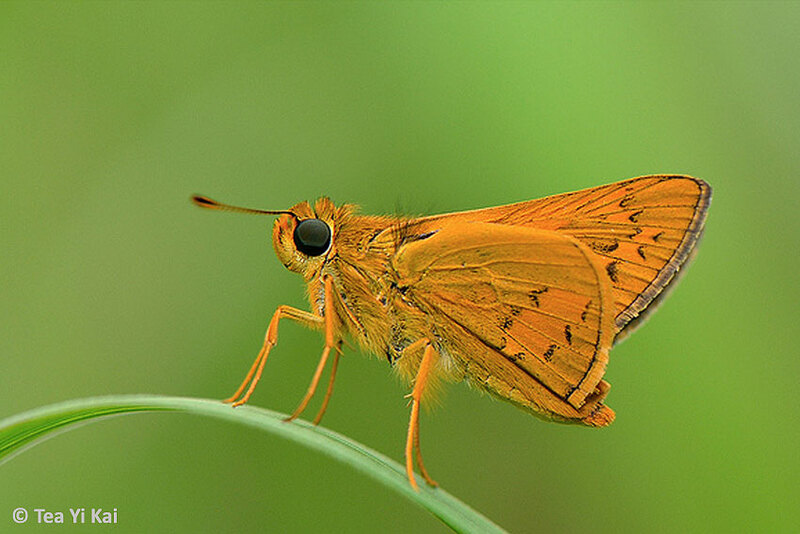 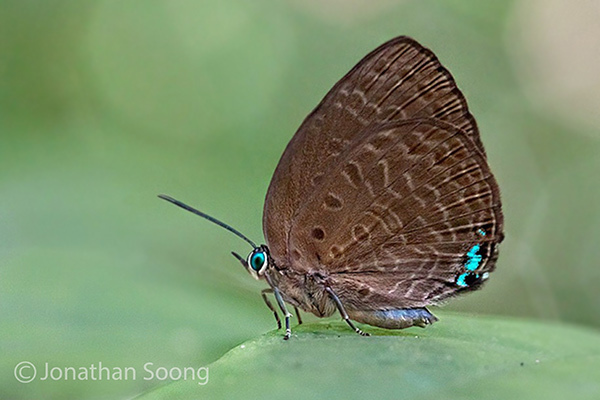 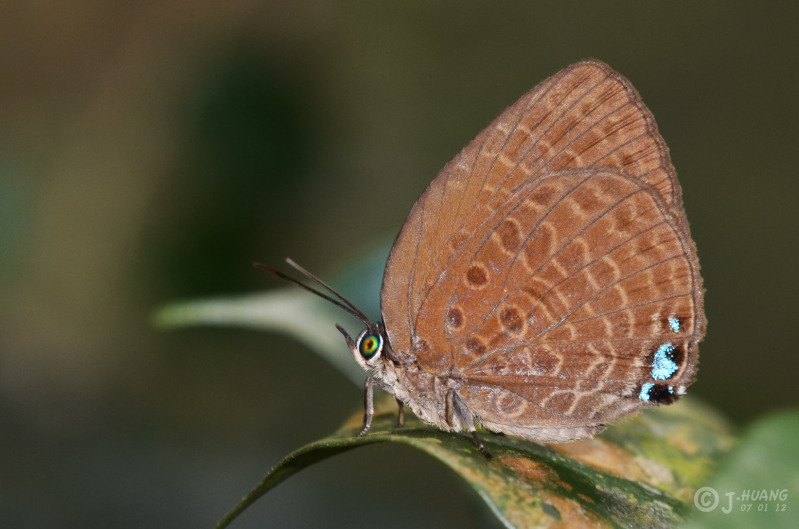 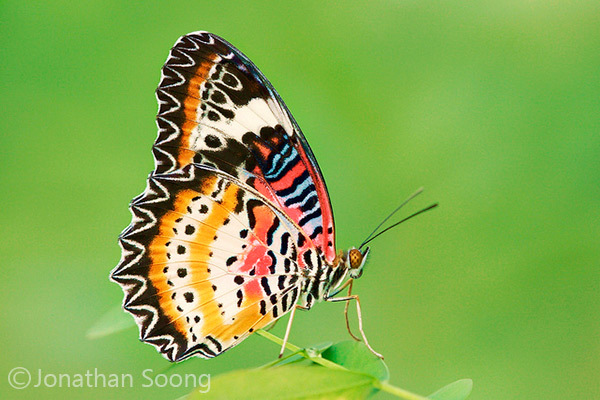 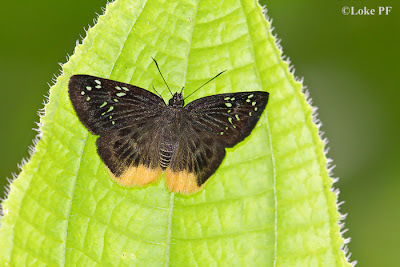 This species is in critical danger of disappearing from the Singapore Butterfly fauna, as the solitary known site where a small colony of the Harlequins can be found with regularity is slated for development. 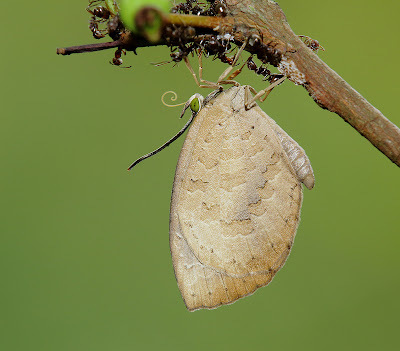 ButterflyCircle had earlier attempted a translocation effort, but was unable to replicate all the ideal conditions for the species' continued survival. 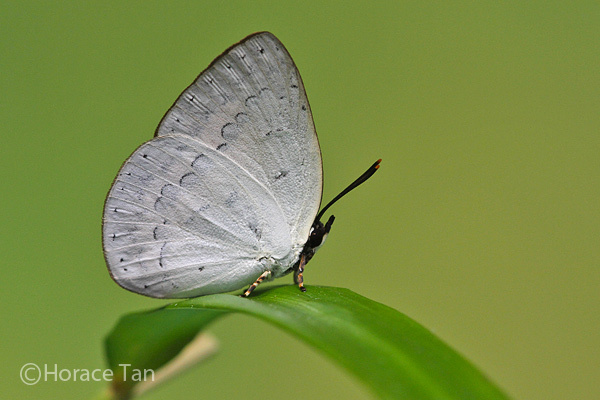 Hence the days for this pretty butterfly's existence in Singapore may be numbered. Ironical though it may seem, the site where the last remaining Harlequin colony is found is earmarked for a development "focusing on hosting an environmentally friendly industry, the complex is being developed with an eye towards environmentally responsible practices, with "green" buildings and maintenance of natural terrain". 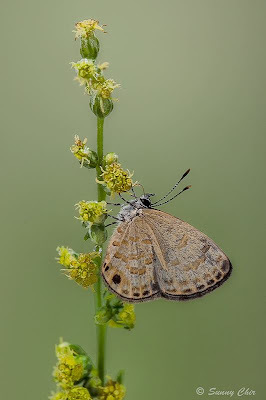 A much-needed outing for ButterflyCircle member Sunny Chir on Sunday yielded a very nice shot of the Banded LineBlue. This species was a recent discovery in Singapore and first found in the Bukit Brown cemetery area. 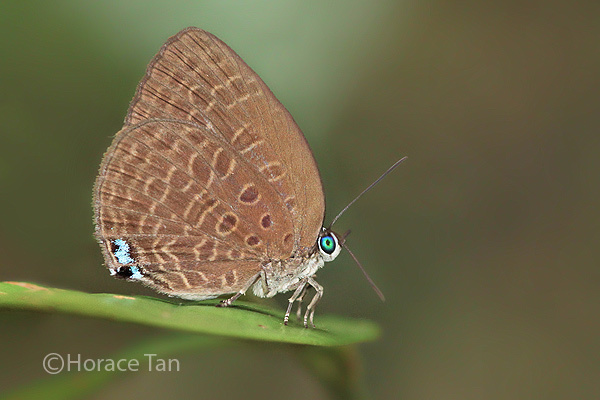 It remains a mystery why the Banded Line Blue has not been observed here in Singapore after so many years. The Bigg's Brownie is a relatively common species in Singapore. It is most often seen fluttering restlessly in well-shaded areas at the fringes of the nature reserves as well as in various urban parks. 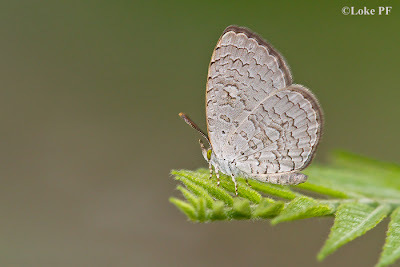 The species is associated with mealy bugs, aphids and coccids, on which their caterpillars feed. 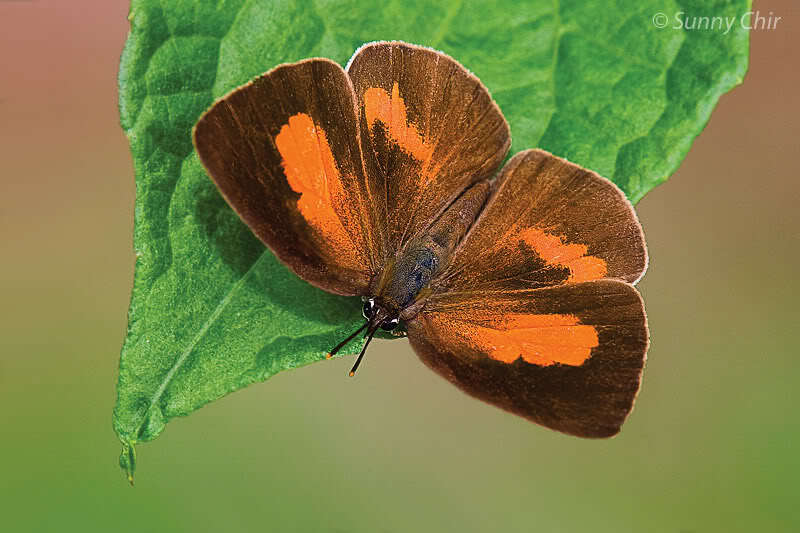 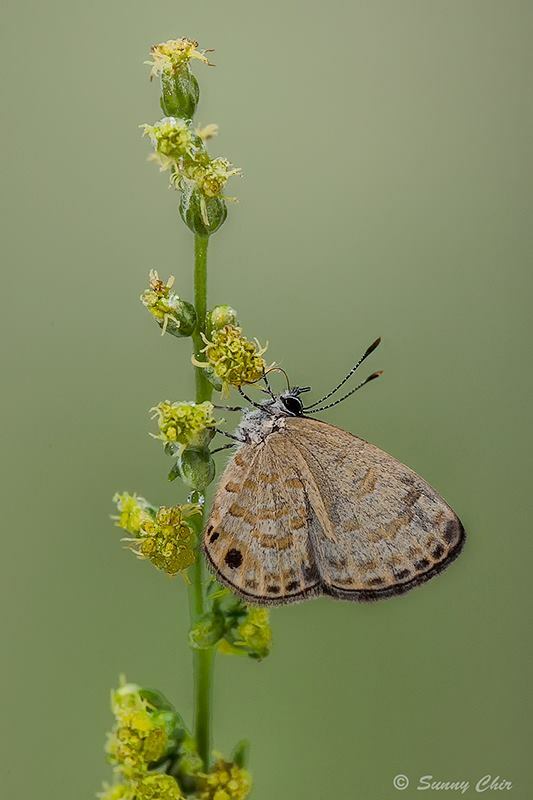 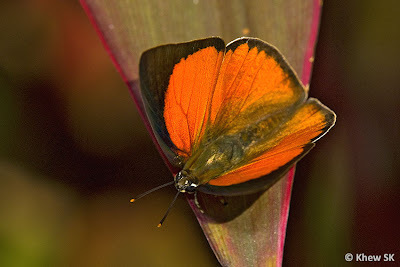 The adult butterflies are observed flying around ant-infested young shoots of various plants. 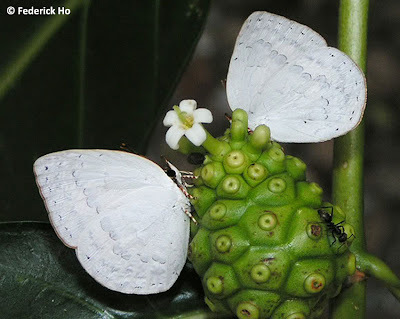 The ants "farm" the mealy bugs for their sugary discharge, and do not seem to attack the intruding butterflies. 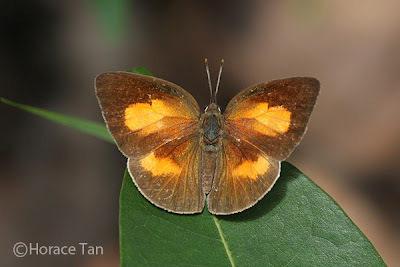 The species is light brown on the upperside, with an oblique white band on the forewings, which can vary across different individuals. The underside is light greyish brown with dark markings outlined in white. 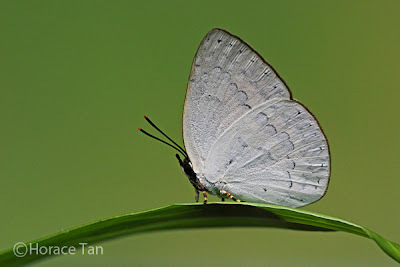 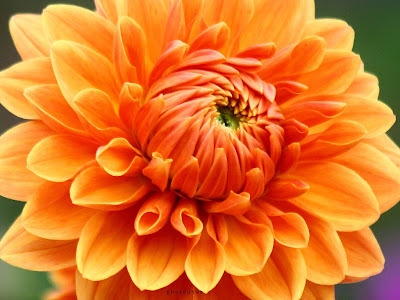 This individual was shot by ButterflyCircle member Koh Cher Hern recently. 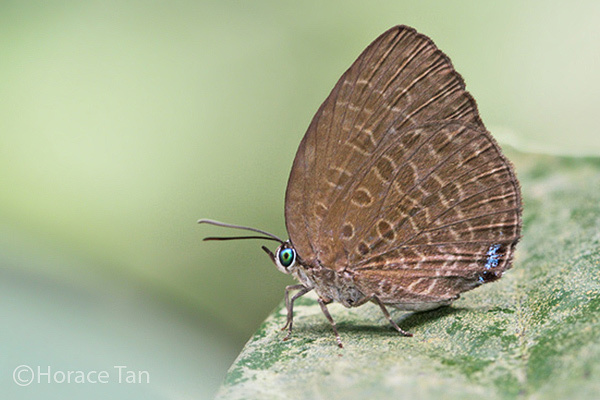 This Apefly resting on some young leaves, was photographed last weekend by ButterflyCircle member Loke PF at an urban hill park. The rounded forewings indicate that this is a female of the species, where males typically have sharper wings, particularly a more angled apex on the forewings.